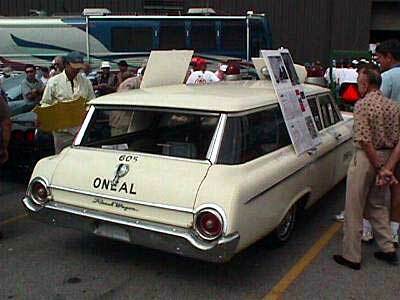 "Wagons by FORD , America's Station Wagon Specialist"
COUNTRY SQUIRE ....."THE FINEST THE WAGON WORLD HAS TO OFFER." Production numbers - 6 passenger, Body Code 71E , 16,114; 9 passenger, Body Code 71A 15,666. Suggested retail $3,018 six passenger, $3,088 nine passenger. COUNTRY SEDAN ....."LUXURY WAS NEVER SO WONDERFULLY PRACTICAL" Production numbers - 6 passenger, Body Code 71B , 47,635; 9 passenger, Body Code 71C , 16,562. Suggested retail $2,829 six passenger, $2,933 nine passenger. RANCH WAGON ...."LOAD SPACE FOR CARGO OR PEOPLE, OR PEOPLE WITH LOTS OF CARGO" Available in 6 passenger only Body Code 71D . Production numbers 33,674. Suggested retail $2,733. With 93 1/2 cu. ft. of "bowling alley" load space these wagons were an ideal vehicle for family vacations and fishing and hunting trips. 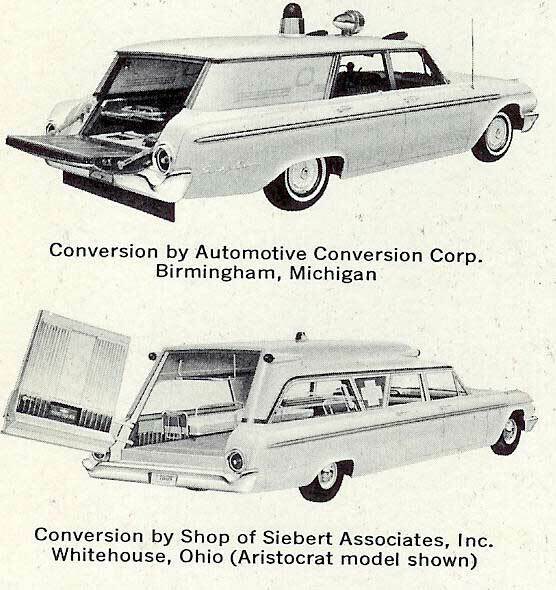 Special Station Wagon emergency vehicle conversion options were available through Siebert Associates, Inc. Whitehouse, Ohio and Automotive Conversion Corp in Birmingham Michigan. To be set up for the conversion, the wagons could be special ordered with a large side opening rear door. Historical Ford Ranch Wagon: This 1962 Ford Ranch Wagon 2D71W113780 is the ambulance conversion that carried Lee Harvey Oswald to the Parkland Hospital from the Dallas Police Station where he was shot by Jack Ruby on November 24, 1963, two days after Oswald assassinated President Kennedy. It is a Dallas built car, white with beige vinyl interior. The DSO of this wagon is 617769. This historical 1962 Ford sold at a Kruse auction in 1998 for $32,500.